March the 12th is an extremely special day for me...it's my birthday! I absolutely love my birthday, I always feel like a princess, love being treated, and love spending time with my family. Yesterday was no different, I had a fabulous time with J, my Mama and my brother. 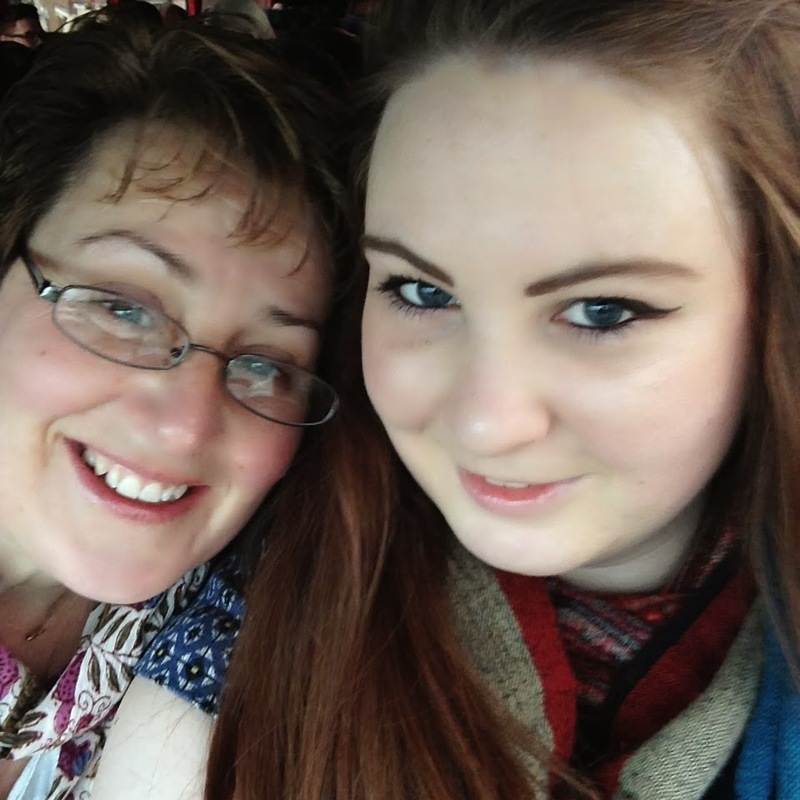 Mama and I on the coach to London. I had originally wanted to go for afternoon tea, but it hadn't started serving yet, so we settled for macarons and champagne. I chose to try some macarons that I had never had from Laduree before, the Rose, Chocolate, Vanilla and Strawberry Marshmallow. My Mama treated us to a glass of champagne each which were filled with raspberry syrup, pink champagne and topped with a strawberry - yummy! Laduree also gave us some cute little canapés for free, I cannot remember what was in them, but I know that they were incredibly tasty! We then had a hot drink, and I chose a chocolat chaud, it was like drinking liquid chocolate, so yummy. 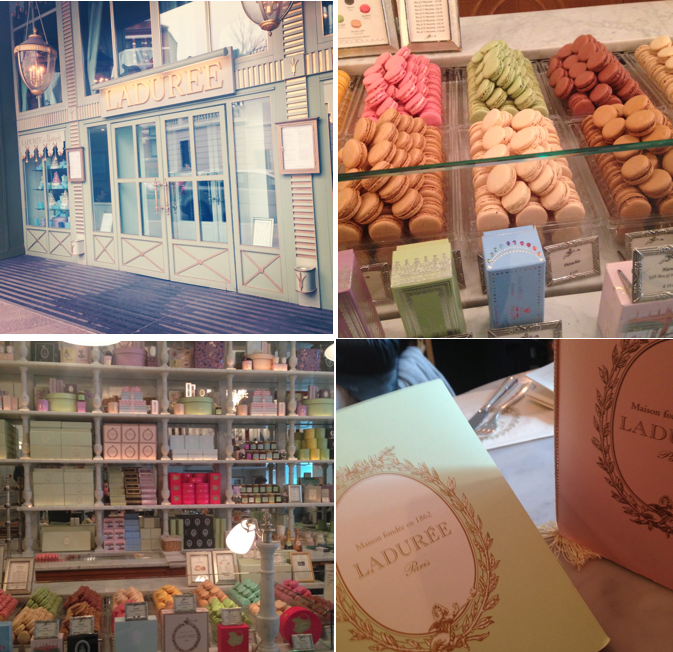 Everything about Laduree appealed to me, the mint green and pastel colours, the cute little macarons in all of their bright colours, the perfect service, and of course the food. I was also loving looking at all of the incredible handbags that were sitting under the tables (such a bag lady! ), I espied a few Hermes Birkin bags and Celine delights. I got to pick up my own fancy bag when my Mama treated me to eight macarons to take home! We then meandered through Harrods, stopping by the Rolex concession in memory of my Daddy (his favourite watches, and now my brother wears his old one in honour of him!) and dribbling over the diamonds in the jewellery section. I then went to squeeze the handbags, trying on some beautiful Mulberry bags in the process. 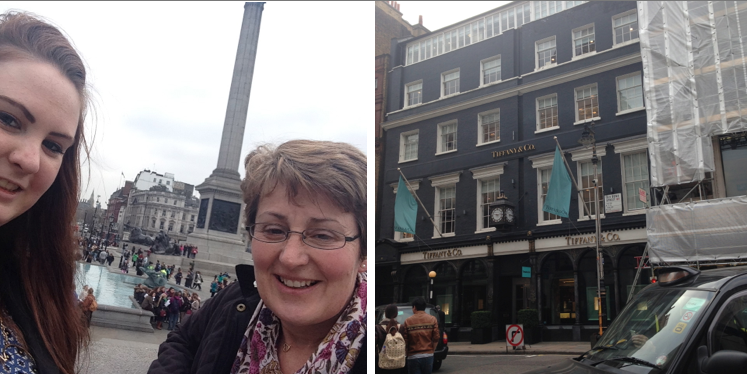 We then got the tube to Covent Garden, walked down The Strand, and then crossed Trafalgar Square and Leicester Square to arrive at Regent Street via Piccadilly Circus. We then took a turning down Bond Street and I marvelled in the delights of seeing some of my favourite designers and their flagship London stores, Louis Vuitton, Chanel, Tiffany & Co, Moschino and so on. It was amazing to see all of the Porsches and Ferraris parked on double yellows (not caring about the parking fine!) and even more amazing handbag on the arms of fashionable ladies walking down the street. We made our way to Victoria's Secret and spent a good 40 minutes meandering through the amazing underwear and smelling all of the lovely bath things VS has to offer. 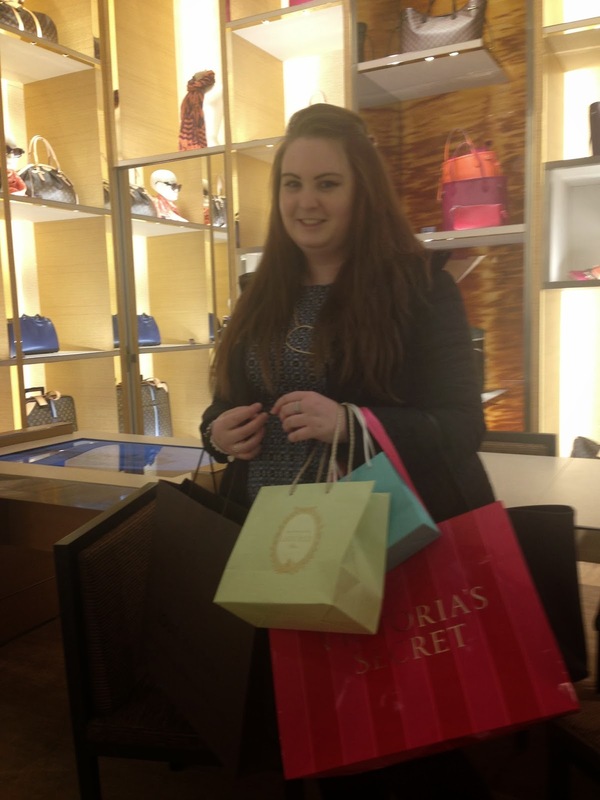 I made two exciting purchases and then we left to walk to Selfridges. I adore Selfridges because there's always something new that you've never seen before. Living in a small town in Somerset everything's always the same and the most exciting thing I have to look forward to on a trip into town is the teeny tiny Topshop or the new beauty hall in M&S and that's it. In Selfridges we stopped by Louis Vuitton and I got a treated to a Happy Birthday card from my sales associate, the promise of champagne (but they'd run out - sadface) and a beautiful handbag. I'm literally still on cloud 9...! My actual birthday was spent having a little lie in and then deciding what to do, I opened some wonderful gifts (post to follow) and then we walked into town, went for a milkshake, and went for lunch at Frankie & Benny's. We then strolled around our country park, playing pooh sticks under a bridge and marvelling at the sunlight. My brother and J left us to come home and play the PS4 and my Mama and I carried on walking in the sun. 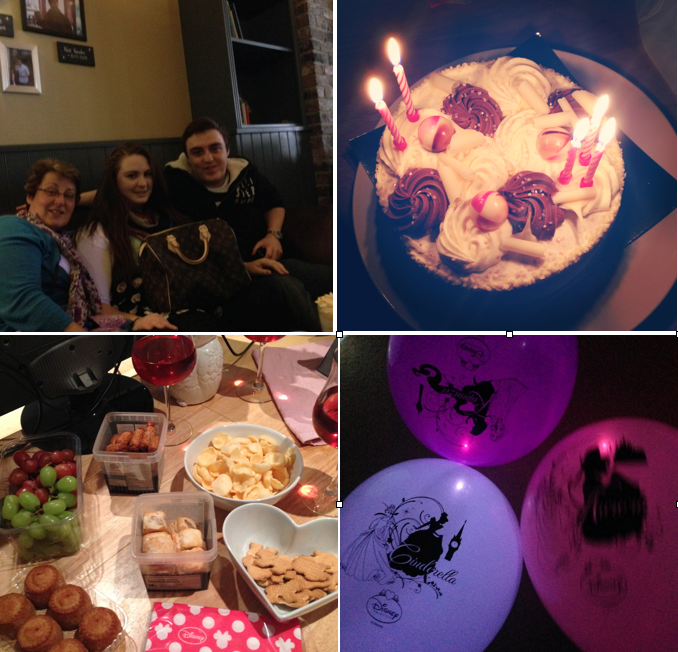 When we did make it home, arms laden with party food and wine I got home to find cake, a Disney Princess birthday banner and light up Disney Princess balloons - just perfect for me! How would you spend your ideal birthday? Happy Birthday. This just sounds like the perfect way to spend a birthday, much better than mine will be as I will be going into work, no balloons, no shopping, just work, rubbish. I'm glad you had such a lovely one.